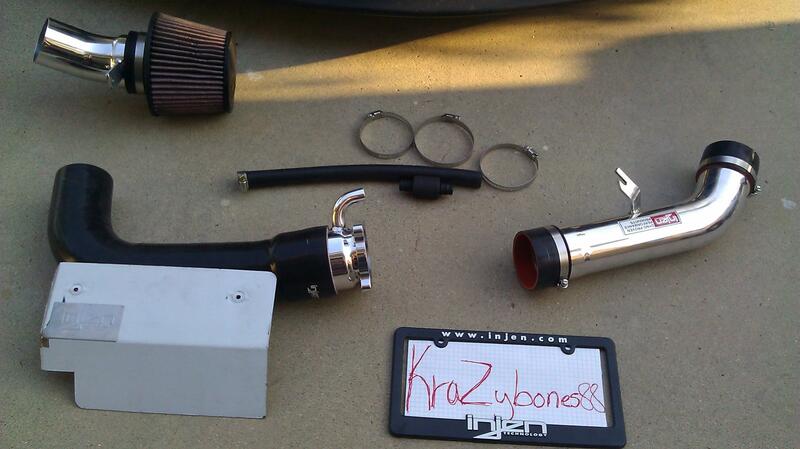 FS: Injen CAI & JWT popcharger basically brand new!! 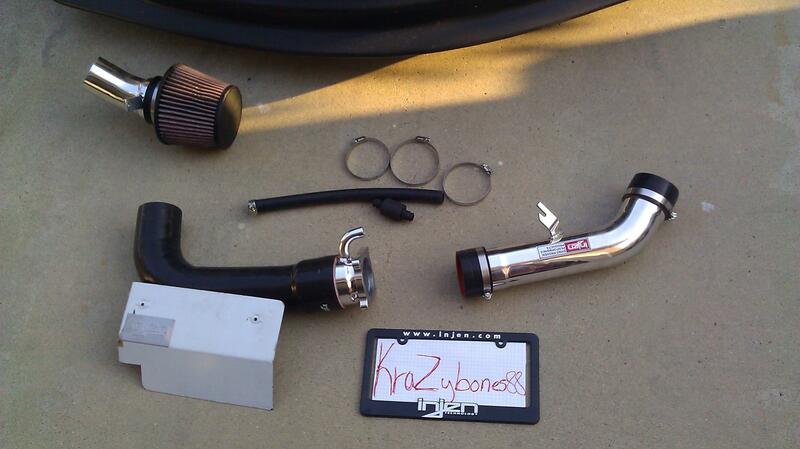 Hey everyone, up for sale are my two intake systems they are both semi new. Very few scuffs on both of them. 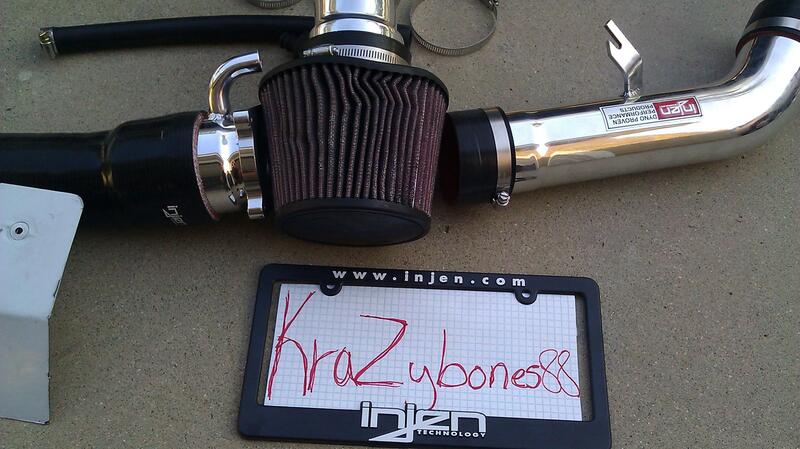 First one is an Injen cold air intake will fit 03-05. very small scuffs here n there igive it a 9/10 the most noticible wear n tear on it is the filter as shown in picture, im asking SOLD!!! Second is a JWT pop charger filter is exellent condition, heat shield has a few scuff from rubbing. Now the only thing missing from this is the little piece of metal that is used as support but thats not a biggie that can be improvised. Im asking SOLD. Last edited by kraZybones88; 03-28-2011 at 11:34 AM. Is the JWT plug and play? Or do you need to buy adapters and stuff? Bump, price dropped! Come on guys someone take this off my hands! Just wondering, what's your reason for selling? Easy to install? Long story short, the injen cai didnt fit my car its an 06, And the injen is for up to 05. 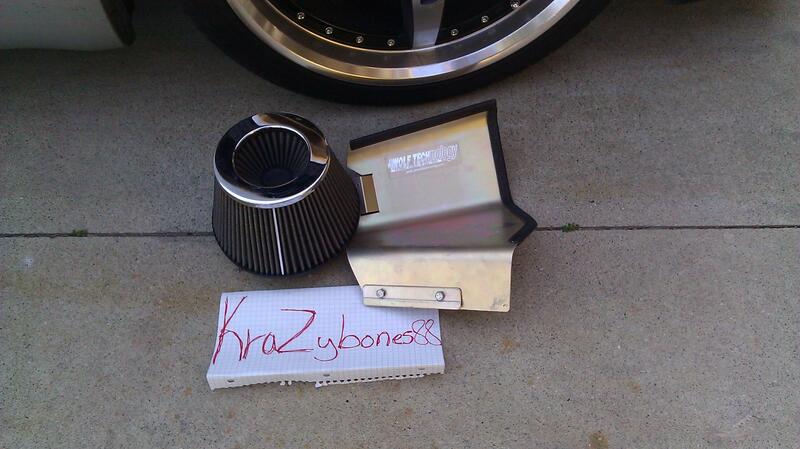 The popcharger my wife drives a g35 and I was going to put just the filter no heatshield BUT she didnt want me messing with her car lol. bump! Come on guys some out there needs this. Willing to negotiate the price on the Injen? I'm very interested. Injen CAI sold to me. 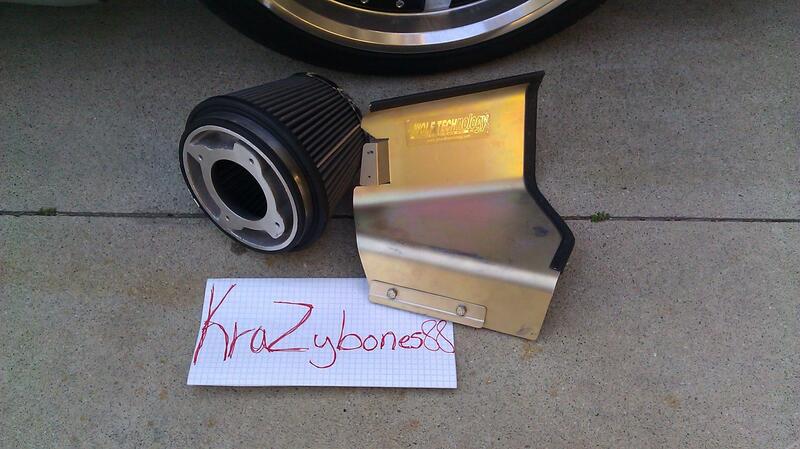 Quick Reply: FS: Injen CAI & JWT popcharger basically brand new! !